I’ve been in my hometown of Minneapolis this week and had the pleasure of making an appearance on KARE-11 TV with the fabulous anchor Pat Evans! He was a great friend of my mom Leeann’s so I was especially honored to be visiting his set. 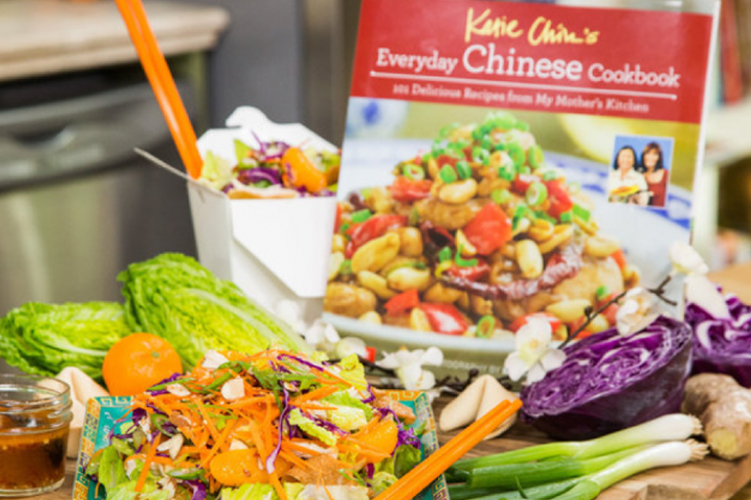 Click here to view my cooking demo on KARE-11! 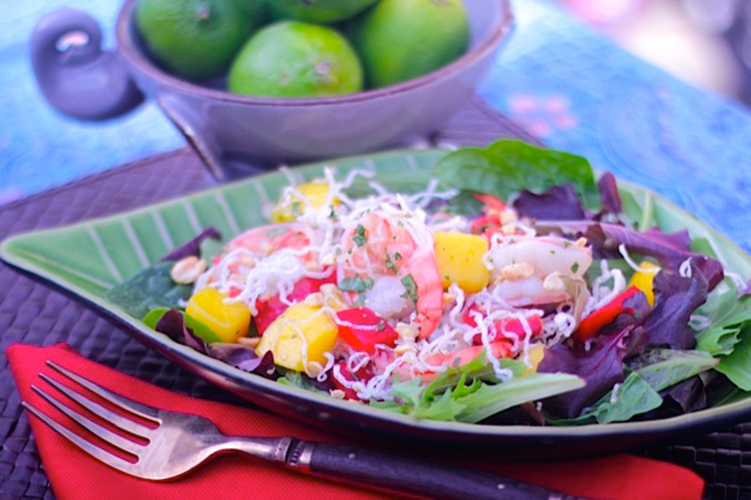 I covered light summer salads during my segment which included this tender and delicious Thai Steak Salad. This salad is light and refreshing yet satisfying from the melt-in-your-mouth rib eye steak. 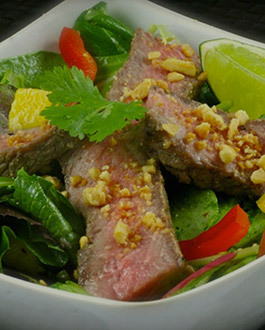 Steaks are thrown on the grill and then tossed in a salad with red peppers, mangoes, Thai basil, cilantro, mint and crushed peanuts. 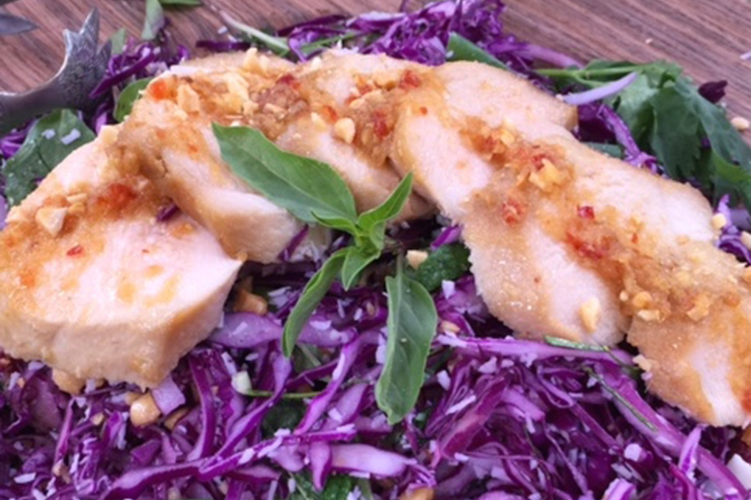 It’s then drizzled with a sweet, hot, salty and sour dressing made with lime juice, orange, juice, lemongrass, soy sauce, chili-garlic sauce and brown sugar. Why have the same old steak salad when you can have this beauty? 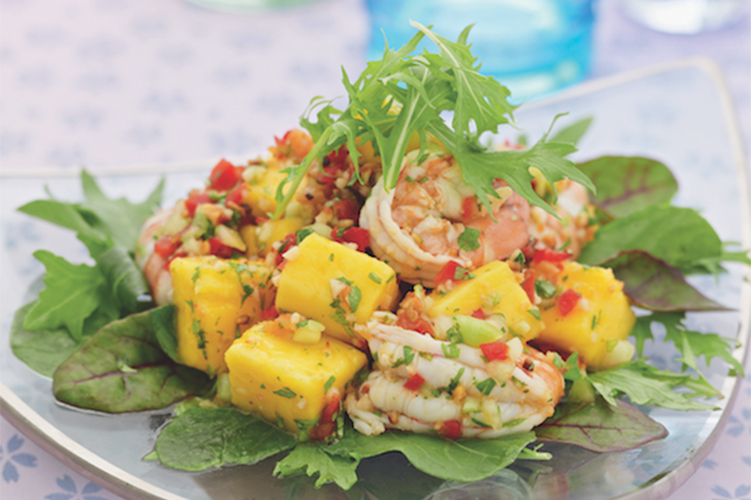 Exploding with bright, fresh and spicy flavors, this salad promises to make your next summer get-together memorable special. Preheat broiler. Season steaks with salt and pepper. Broil for 4 to 7 minutes per side for medium-rare or to desired doneness. Transfer to a cutting board; let stand for 10 minutes, then cut across the grain into thin slices. 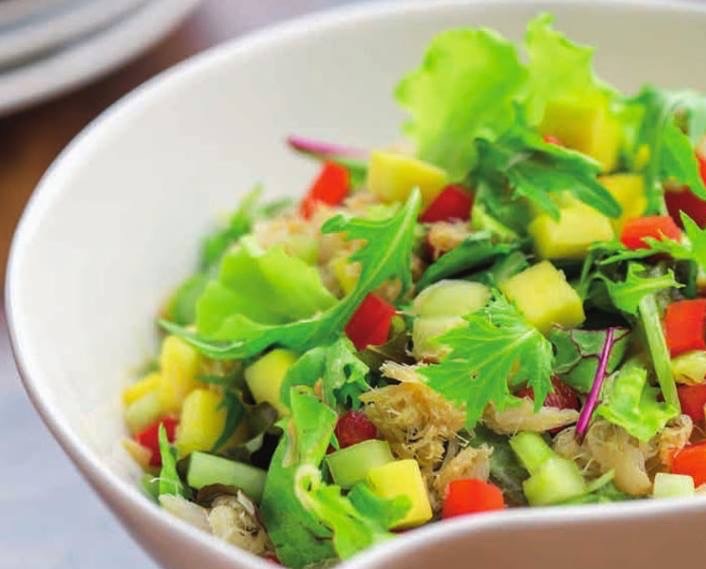 Dressing: In a small bowl, whisk together lime juice, soy sauce, orange juice, fish sauce, chili-garlic sauce, lemongrass, and garlic. Gradually whisk in olive oil and sesame oil until well blended. 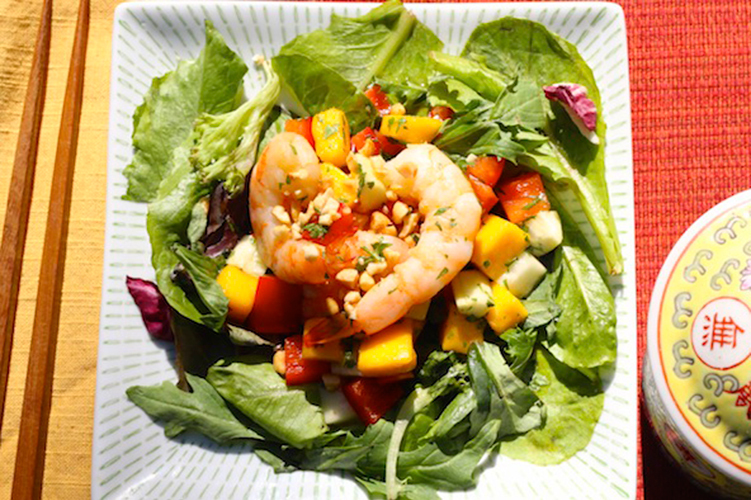 In a serving bowl, combine the mixed greens, cilantro, basil, mint, carrot and mango. Add all but 2 tbsp dressing and toss to combine. Arrange steak on top of salad. Drizzle the remaining dressing over steak. Garnish with crushed peanuts. Serve immediately.